R-K-Campf Transport, based in Salem, Ohio, has been a state leader in flatbed trucking company services since 1993. With state-of-the-art tractor trailer equipment and top-notch drivers, we strive every month to give our customers irreplaceable service, and our drivers irreplaceable employment. Our fleet consists of 90% specialized 5 axle over the road units, pulling flatbeds with side kits. R-K-Campf Transport has invested in a modern International ProStar fleet, and stands ready to handle any flatbed freight you have. In addition to our heavy haul trucking equipment, the standard flatbeds carry LTL freight and other over the road trucking deliveries to all points in the continental United States. 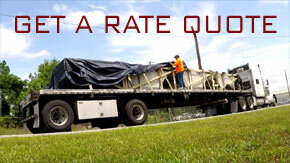 Need a freight quote? We invite you to discover why R-K-Campf is among this nations best flatbed transportation carriers! Are you looking for work? 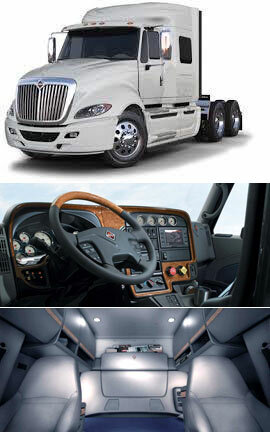 R-K-Campf Transport provides an excellent work environment that is family oriented. We also offer sign-on bonuses of $5000.00 for new recruits! And, if you previously worked here you may also qualify for sign-on bonus to return. Regardless of the type of past flatbed transport companies you may have worked for, all qualified flatbed drivers can find a place to showcase their talent at R-K-Campf Transport. Flatbed trucking services is our business, and we take it very seriously. Our customers need results, not excuses. We are committed to handling all freight movements in a timely, safe and professional manner. If your business lacks the personalized service that R-K-Campf Transport offers, then give us a call today at: (800) 793-8203!